The future looks bleak for the CBC as we know it. The public broadcaster is facing a 12 percent ($115 million) cut in its government funding and, two years down the road, the probable loss of the television service’s flagship Hockey Night in Canada, which brings in about half the corporation’s advertising revenue, and provides about 400 hours a year of “Canadian content,” a hole which will have to be filled. Though the revenue shortfall will be most evident in the television service, CBC Radio will inevitably have to share in the pain as management scours the corporation for ways to cut costs. Writing in the Globe and Mail in response to the Federal budget, Stursberg claimed that, “For the first time in history, the CBC has proven that Canadians can make entertainment shows that can compete with the programs made in the United States,” thanks to his leadership. “If there ever was a Golden Age for the CBC, it is now,” he stated. What can possibly account for such widely divergent views of CBC television? The answer lies, first of all, in two starkly different definitions of “success.” For Doyle, “The CBC is mandated to be more than a broadcaster. 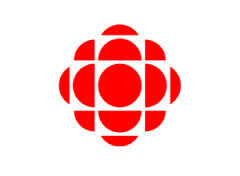 It is mandated to be a cultural institution, an incubator of artistic talent, employer of talent from many genres and provider of unique programming that other broadcasters fail to deliver.” One could say that the CBC is mandated to broaden public taste, rather than pander to it—to provide a venue for excellence. For Stursberg, success has a different meaning. As he makes clear in his book, television is not, in his mind, a medium for high artistic expression, but rather for mass entertainment. The success of a television offering ought to be measured instrumentally, in the utilitarian arithmetic of ratings. He subscribes to the view, popular in the commercial media industry, that quality cannot be measured objectively, and that high ratings equals high quality. Viewers choose to watch reality TV in large numbers because it is quality television: how do we know it is quality television? Because viewers watch in large numbers. At first blush, Stursberg’s approach to measuring success for CBC television seems eminently sensible. As he himself asks, “If not audiences, then what?” Hence his obsessive focus on ratings. And indeed, if it were truly audiences that were being measured in the television ratings services in which he places his faith and to which he offloads responsibility for quality evaluation, then it would be hard to argue with him. But here’s the thing—ratings do not really measure audiences in any sensible fashion. They provide little or no information as to whether viewers were bored or entranced, stimulated or maddened, inspired or nauseated, made joyful or angry, educated or misled. They simply provide an indication of how many television sets at a given time were tuned to a particular item on the menu of programs offered to advertisers by the TV industry. Audiences are composed of real people. Ratings, on the other hand, are a completely artificial statistical construct designed to do the impossible—to make a homogeneous, packageable commodity out of millions of individual consumers, whose tastes, needs, and responses are unique, and as diverse as their numbers. Ratings are to audiences what pink slime is to an Angus steer. Ratings, in short, say nothing coherent about whether the audience is being well-served. Then why do they exist? Because markets run on numbers. In the peculiar market that is commercially-sponsored television, the commodity being sold by broadcasters is viewers for commercials, and to turn those viewers into a commodity that can be served up to potential purchasers—i.e. advertisers— broadcasters have turned to the ratings services, which attempt to measure total numbers of viewers for any program according to various criteria, including age and income bracket. Whether the ratings numbers are accurate in terms of volume (and this is often disputed) is of less importance to the industry than whether they are collected fairly and impartially. This is because ratings are a kind of currency, and currencies only work if everyone agrees on their value. The currency of ratings allows a broadcaster to say to an advertiser:” I will give you an audience of 450,000 at 6 p.m. each weekday in return for our rate card fee of so much per viewer.” Another broadcaster might then undercut that offer by serving up higher audience numbers or a lower fee, or both. Competition at work, doing its job, with ratings providing the necessary numerical data. But none of this elegant economic theory says anything about what really matters to viewers, the quality of programming. It’s another issue on which Stursberg and Doyle also disagree, Stursberg leaving such effete judgments to ratings numbers and Doyle suggesting something more…thoughtful. It is a fundamental tenet of capitalism that competitive markets contrive to produce products of the highest attainable quality at the lowest feasible price. This is simply because if, as an entrepreneur, you offer a product or service that is inferior to or more expensive than one offered by your competitor down the street, you will either pull up your socks and sharpen your pencil, or go out of business. The same dynamic applies, of course, to your competition. Quality ratchets up, as price trends downward. So far, so good. Nothing new here. But what Stursberg has failed to understand, and what Doyle seems to get, is that in the highly competitive television market, commercial success tends to be an indicator of lower, and not higher, quality in programming. It’s a paradox. Product quality will indeed rise over time—but the product in question is “audiences,” and the purchaser is the advertiser. What is a “high quality” audience in the eyes of advertisers? One that provides (1) the demographics they want, (2) in the numbers they need, and, crucially (3) at the lowest feasible price. This is of course not the way ordinary viewers define quality in programming. Viewers understand that it costs more to produce high quality television programming (as they define it) than its opposite. It is programming that broadcasters offer us to pull together the audiences desired by advertisers. The more cheaply that can be done, the better, for both broadcaster and advertiser. And so, in a competitive market, the amount of money spent by broadcasters to accumulate a given audience will be forced inexorably downward by market dynamics. And that means that program quality will necessarily follow the same trend. An axiom can be derived from this: economic success for commercial broadcasters operating in a competitive market implies, as a necessary corollary, mediocre programming. The proof: critics reel back in astonishment on the rare occasions when an anomaly occurs in the form of great TV on a commercial network. These exceptions to the axiom prove the rule, as do genuinely high-quality television programs routinely turned out by broadcasters and producers that do not rely on commercial sponsorship, such as subscriber-supported HBO, and true public broadcasters like the BBC. Okay, so ratings don’t measure program quality. What does? If not ratings, then what? How is it that Doyle and his ilk can claim to know quality when they see it, and criticize the CBC TV for not producing enough of it? Public broadcasting professionals and academics have worried over this question for a long time, and they have come up with some answers. The best and most rigorous strategies for measuring quality in television programming break the concept into four categories: sender-use quality; receiver-use quality; craft (or professional) quality; and descriptive (or truth) quality. Receiver-use quality is quality in the eye of the beholder: as a subjective measurement it can be and often is completely idiosyncratic. One viewer’s hockey bliss is another’s outrage at violence on ice; documentaries seldom have broad appeal, but are intensely enjoyed by self-selecting audiences. Craft quality is what gets rewarded by prizes like the Peabody and other awards that are refereed by industry practitioners. It is the expression of the hard-won skills of the scores of media professionals who make up the cast and crew of any production. It is the quality that, along with inspiration, makes a screenplay or a musical performance great. Finally, descriptive quality is the category most likely to cause serious debate. The question that has to be answered is: how close does this program come to portraying the world in as it really is? Does the program, whatever its genre, make an honest, sincere, and responsible attempt to present the truth about the world? As Stursberg’s tenure at CBC television has shown, even dramatically improved ratings for a handful of marquee programs does not spell salvation for the public broadcaster. Only broad and deeply committed public support can do that, the kind of loyalty and respect that is generated the way CBC Radio has done it over the years, by pursuing quality first and ratings second. There can be no more obvious example of the difference a commercial-free environment makes to broadcast programming than the difference between CBC Radio and the vacuous commercial radio populating most of the dial. What drives CBC Radio’s popularity is not an abject conformity to the standards and values of ratings-driven American commercial radio, but a deep commitment to excellence in everything it does. The funding crisis facing CBC should be seen, not as a calamity, but an opportunity for CBC television to become what it has never been—a true public broadcaster. That is, a broadcaster that sees its constituency as the Canadian public, and not advertisers in search of audiences. When CBC Radio was liberated from the commercial treadmill in 1978, it did not, despite predictions, wither into irrelevancy. It experienced a remarkable renaissance in creativity and quality that listeners continue to enjoy today. There is no reason to doubt that something similar could happen in television. The financial arrangements that would have to be made are complex, and fodder for others with specialized expertise. Suffice it to say that, in handing over to the private networks exclusive access to advertisers and their money, the CBC would be setting up a very considerable IOU, one that could be repaid from the enormous subsidies that private broadcasters enjoy in this country. Whether or not this means that the television service must completely relinquish advertising revenue, or merely reduce it to some level at which it is no longer important to the core administrative and programming functions of the Corporation, is open to debate. Several European models are worth examining. But no one I know of at the CBC now thinks that anything short of a drastic transfiguration of the television service can save the Corporation from the terminal effects of the wounds inflicted on it by hostile Liberal and Conservative governments over the past 30 years. It’s now or never. Wade Rowland is author of the newly-released Saving the CBC: Balancing Profit and Public Service (Linda Leith Publishing, Spring 2013). As a Canadian, having grown up with the CBC and having spent 20 years in the UK watching both the BBC and ITV/C4, I weep seeing what our governments have done to the CBC over my lifetime. It is time to take the funding arrangement out from government hands and put it into the hands of some form of trust with a mandate to build the CBC into a true public broadcaster like the BBC, commercial free, and with two TV channels, one for the masses and the other more serious, all with the simple mandate – to educate, inform, and entertain. I’m tired of watching us go the US route. We are losing our heritage and culture while we dumb down, nationally, even further.